Mennonite Girls Can Cook: The Apple ~ Any Way You Slice It! 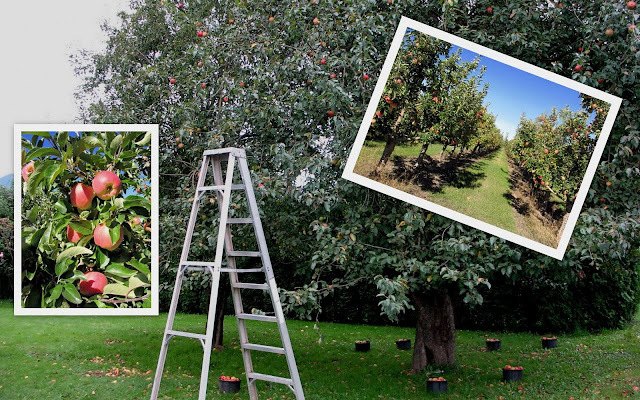 Apple season is upon us...and there's nothing quite like enjoying a crisp, fresh apple right off the tree. 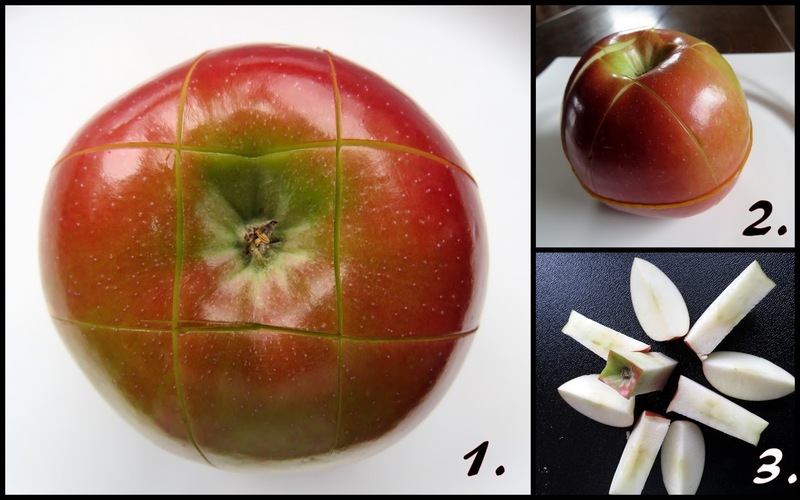 Here's a simple way of slicing the apple without an apple corer...perfect for including in a lunch bag. Set apple with stem side down on a cutting board.. Many hours later...the apple slices have stayed almost totally white. There are many wonderful recipes that feature apples...and it seems the perfect time of the year to highlight a few of those. 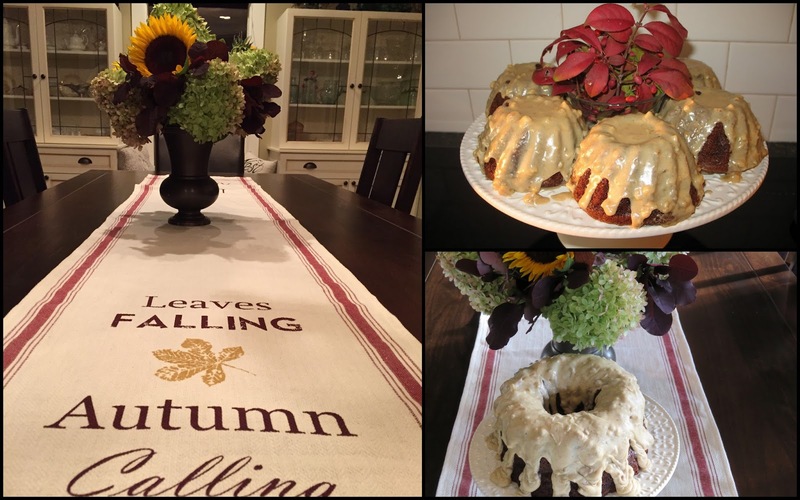 Caramel Apple Cake is a favorite over here....and has often doubled as a birthday cake at this time of year. We enjoyed it around the table with friends this past week. How about Apple Fritter Rings for brunch? Or Apple Muffins...for breakfast, lunch or coffee break. 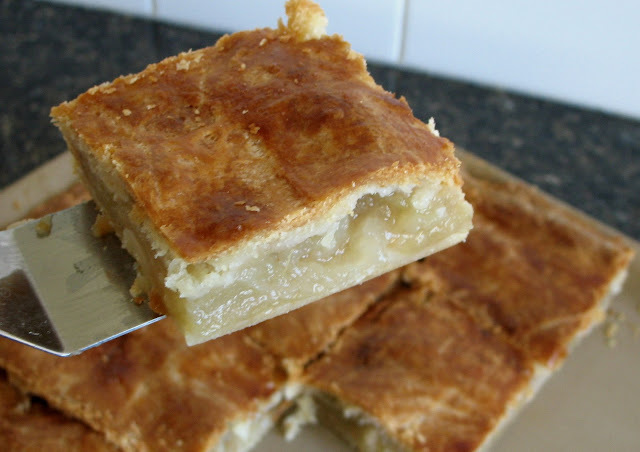 Apple Pie Squares...a crowd-sized version of apple pie! 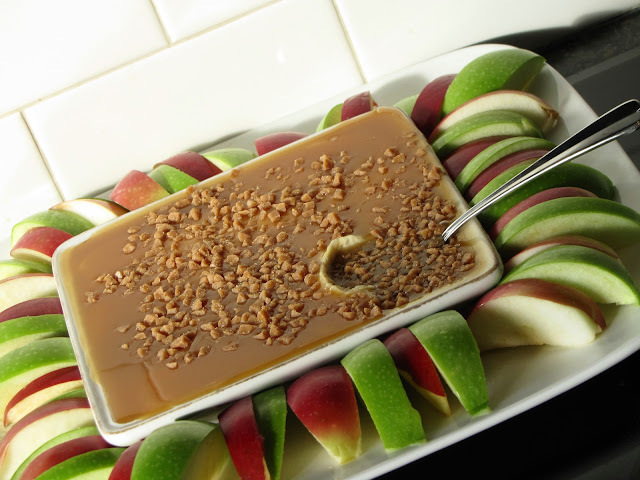 Here's a perfect accompaniment for an apple tray...Caramel Apple Dip. If you still haven't found the apple recipe you are looking for...try entering the word 'apple' in the recipe search on the sidebar of this blog and you will be overwhelmed with apple everything! Don't you just feel like cooking with apples? As for me...I'm slicing up apples every which way over here! We have one wee tree...which bears several varieties of apples. The one variety (on the left) grew to be the size of small pumpkins this year. The apple pictured here weighed well over a pound...as compared to the average sized McIntosh apple on the right. Enjoy these 'apple days' of autumn! What a fabulous collection of your apple recipes Judy! Our old farm orchard has SO many apples this year, the branches are breaking from the weight on them! I can see those apple pie squares on our Thanksgiving table this year? Today is our community's annual Apple Butter and Cheese Festival - celebrating apples for sure! 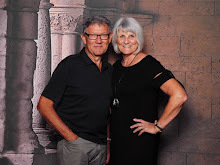 Nice post, Judy, and nice ideas for apple recipes. What caught my eye the most, though, is your lovely "table runner" - leaves falling, autumn calling...do you have any idea if this is available anywhere? I wonder if anyone else caved to the power of this post. 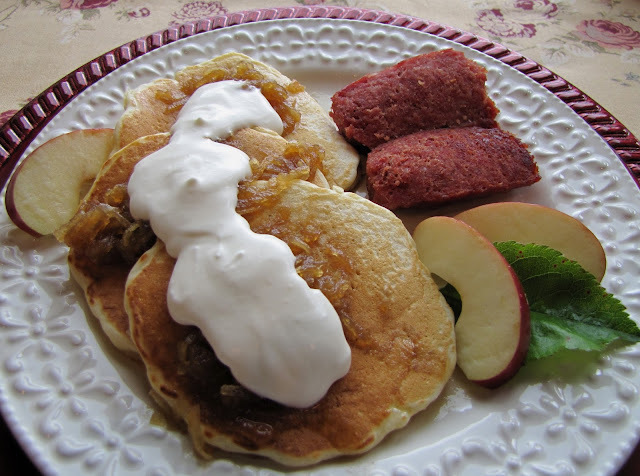 I made apple ring pancakes for breakfast. Beautiful post Judy. I love that table runner too! I believe they are Liberty...not a variety I had ever heard of before. They are flavourful, crisp and juicy...taste somewhat like a Honeycrisp. Interesting! We had a "Liberty" apple tree in the orchard at our last place, but although the tree was very prolific and the apples delicious, they were not the size of yours! We do have "Liberty" on our list of trees to buy for the new orchard we are planning...and who knows, maybe they will be bigger and better then ever! Apple cooking is going to be happening around here today. The trees are loaded and it's time to get busy. I'll be checking out the "apple" links on this blog and making some old favorites as well. We just went apple picking yesterday, and I have baskets of apples (especially Arkansas Blacks) ready to try out some of those yummy recipes! Wow, Judy .. do you need some help in eating all your wonderful apple options? What I wonderful idea for slicing and packing an apple for lunch! May I suggest, also, that the world try poached apples. I poach quartered apples in a very light sugar syrup, and my husband really loves them that way. I have when I've bought or been given large amounts of apples, canned the quarters or slices in pints with a very light syrup so that we have them for later also.